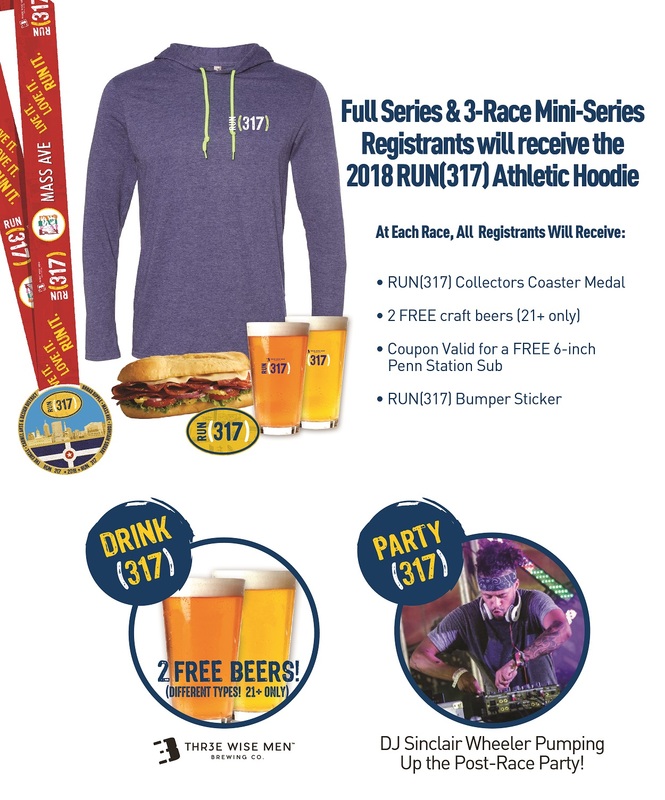 This option will register you for ALL five RUN(317) events! Save up to $38! Sign up for Mass Ave, Carmel, and Fountain Square and SAVE $$! Click the Links Below to Register for Individual Races!! !